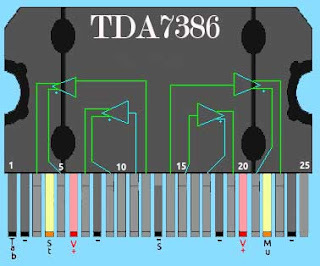 I will give an explanation of TDA7386 Power Amplifier for previous post Making Surround Amplifier TDA7386 4 Channel. Pin 1 TAB: Connection to the metal plate of the integrated circuit, it is connected to negative. Pin 4 Standby. Ignition at voltage greater than 3.5 volts. Off at less than 1.5 volts. Pin 10 SVR Capacitor 47 uF 16V to earth. Pin 13 S-Gnd grounded audio (negative, see considerations). Pin 16 AC-Gnd capacitor 0.47uF to ground. Pin 22 Mute, Mute to less than 1.5 volts, with sound after 3.5 volts. Due to its high consumption, extreme care must be taken with the ground and power connections. A common ground that is not direct to some negative of an exit. In the specifications we speak of 49 W for each channel. We can say that it is not really as powerful as it can deliver around 20 watts per channel at low distortion levels with a load of 4 ohms and power of about 14 volts, plus the maximum total heat dissipation is 80 watts ( @ 70 ° C). 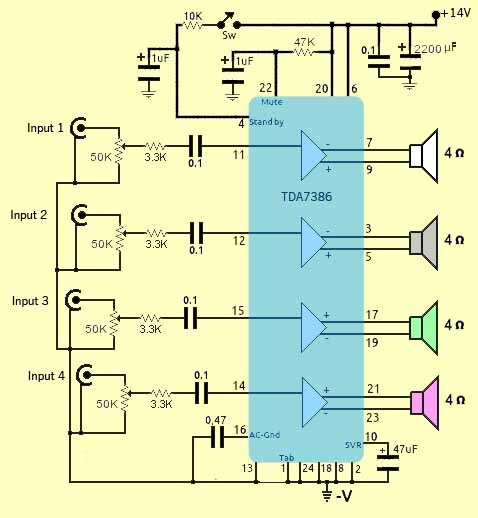 This audio amplifier is designed for car radios, used in Sony®, Kenwood®, Pioneer® and other high-end radios. But each channel of the TDA7386 can develop 49 W at 15.2 volts with a load of 4 ohms with very high distortion and saturation levels. 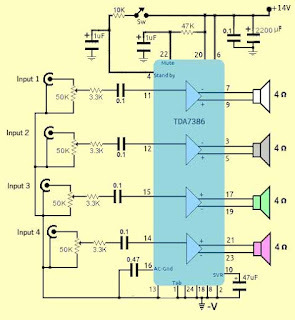 Still it is of high power and by its few components is an amplifier easy to construct. The power supply should exceed 15 amps and should not exceed 18 volts. All capacitors are 16 volts but may be higher voltage. The manufacturer recommended capacitor value for each input is 0.1 microfarad (104). 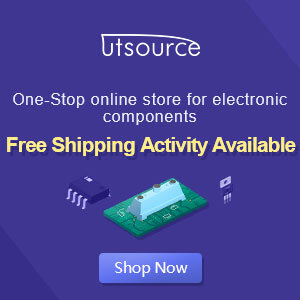 In automotive radios the heatsink is quite reduced so for a more continuous home working amplifier a good heatsink should be used and a fan can be added from those that use computer sources. In addition to a capacitor of 220 microfarads of 16 volts or greater. It is worth repeating that the life of the electronic components decreases by working at high temperature. Or even oscillations that may damage the integrated circuit.